Summer is here and that means lots of cold salads to take to your cookouts and picnics. 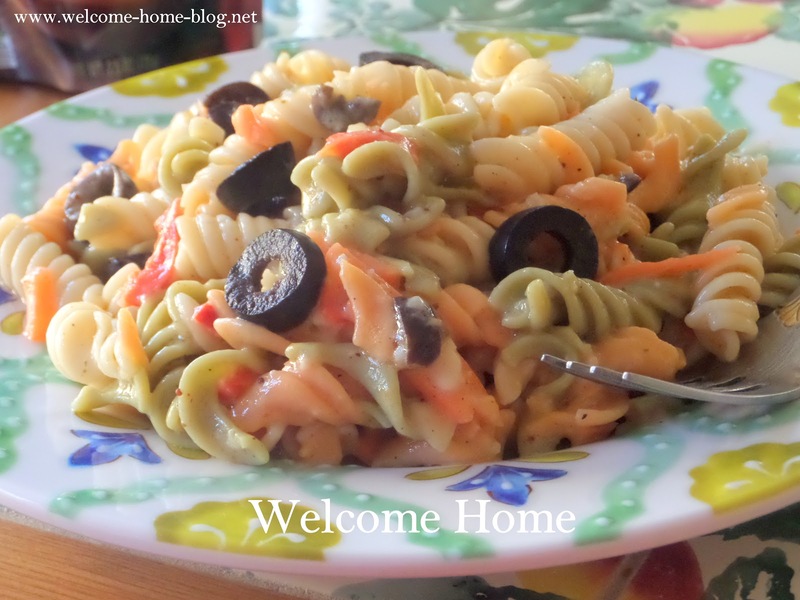 And what is a picnic or barbecue without a favorite pasta salad? This happens to be one of my favorite and it always gets great reviews.....or should I say, I always take home an empty bowl after every gathering! Prepare pasta according to directions. It is important not to overcook your pasta. Rinse under cold water and drain very well. Set aside to cool while you prepare the dressing. In a large bowl, mix mayonnaise, ranch dressing mix and garlic powder. Stir in milk until smooth. Add the sweet red pepper and the carrot and mix well. 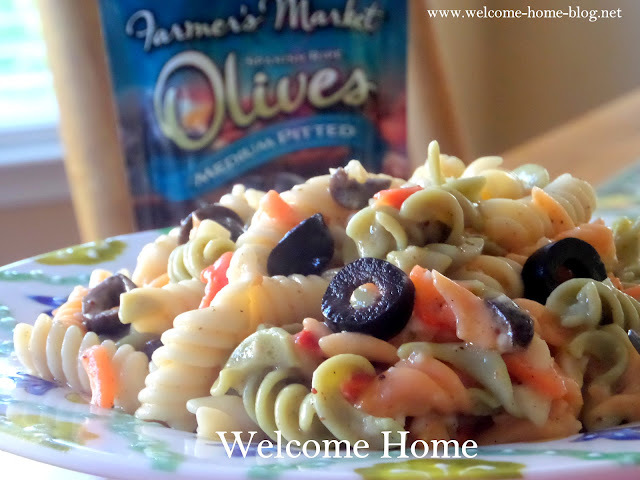 Slice olives into halves and add to salad dressing. 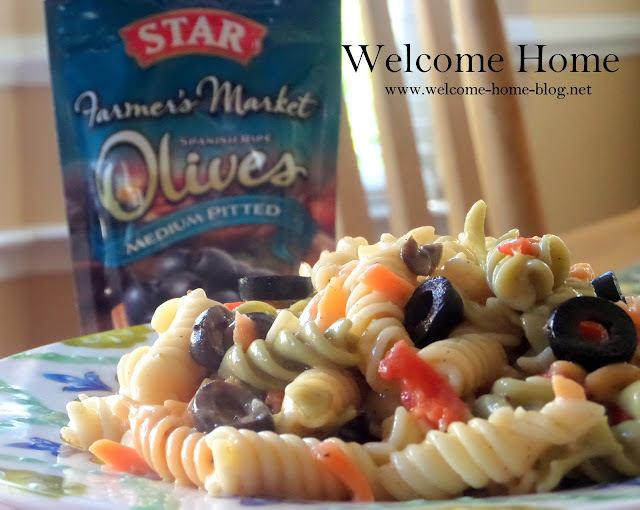 The STAR Farmer’s Market Olive pouches are available at Ralphs, King Soopers, Smiths, Albertsons (Southern California), Safeway (Northern California) and Savemart stores and online at http://bit.ly/STAROlivePouches.